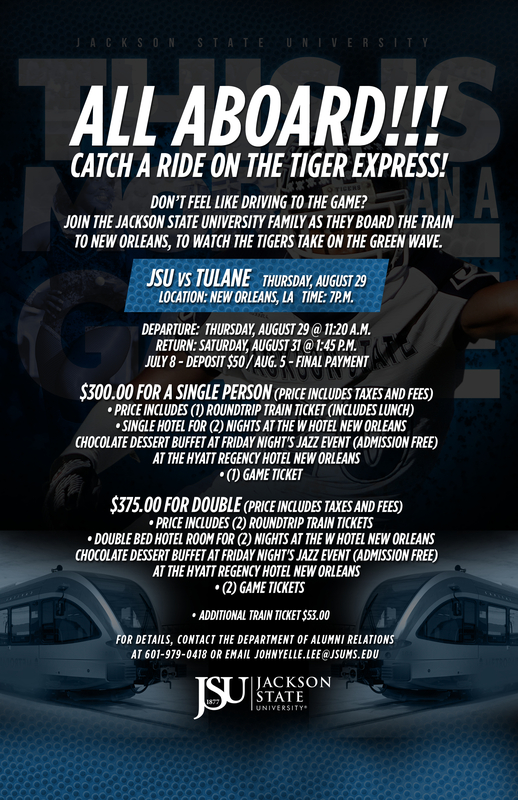 Jackson State University will be kicking off their football season at the Mercedes-Benz Superdome in New Orleans! If you want to be a part of the excitement for a good price, see the information below. Copy, Paste, and Print the flyer and mark your calendars for this epic event!